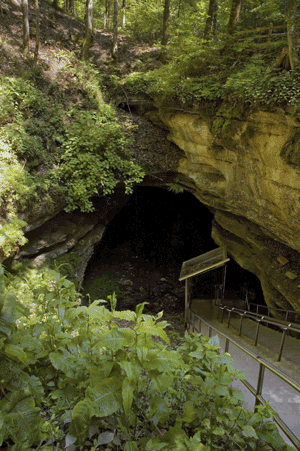 The main feature of the park is Mammoth Cave, the longest cave system known in the world. With over 400 miles of explored caves, Cave Tours are certainly on the list. They have tours that range from easy one hour self guided tours all the way to very strenuous 4 and 6 hour spelunking tours. The park is participating in an effort to eliminate an outbreak of White-Nose Fungus, so make sure you plan accordingly by reading up on gear and clothing restrictions for the tours. In addition to the caving, more than 70 miles of backcountry trails through forested Kentucky hills for hikers, horseback riders, and bicyclists are contained in the park. They also have Heritage Walks and Sunset Campfire Programs as well. Cahokia is an ancient Native American city located across the Mississippi River from St. Louis, Missouri. Centuries before Columbus came to America, more than 20,000 people came together in a city more than 6.5 square miles in area. They built mounds, plazas and circles of different numbers of wooden posts, sometimes referred to as Woodhenge, used as some kind of calendar. About 80 of the original 120 mounds still exist in the current 3.5 square miles of the park. The park offers guided tours, iPod tours, and has an interpretive center focusing on the uniqueness of Cahokia as the largest urban center north of Mexico. The site also hosts Indian art shows, adult Flintknapping classes and educational conferences. No trip to Philly is complete without getting a cheese steak, seeing the Liberty Bell and visiting Independence Hall. Independence Hall is mostly known for the place where the Declaration of Independence and the Constitution were both signed. The park also contains the Liberty Bell Center (where the Liberty Bell is displayed), the First Bank of the United States, Carpenter’s Hall (the meeting place of the First Continental Congress), Franklin Court (a museum dedicated to Benjamin Franklin), and the United States Postal Museum. There are considerable other building on the site as well lending it the nickname of, “America's most historic square mile.” They offer many ranger-led tours as well as free mobile app to help guide you. The real fun is in the additional programs they offer. Military Muster is where the kids learn to march and get the basics musket etiquette from Colonial Attired. And best of all, it’s free! Sights, Sounds and Symbols for Families in an interactive scavenger hunt with crafts and activities scattered throughout the park. There are many more activities which vary throughout the year so check the website before you go. 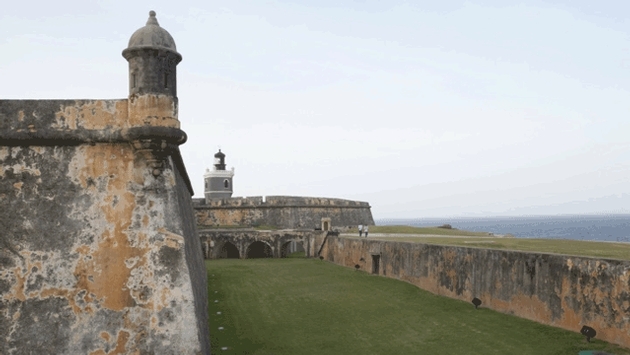 Known as the Gibraltar of the Caribbean, San Juan, Puerto Rico was one of Spain’s key outposts in their territories. La Fortaleza has been and is currently the residence of the Governor of Puerto Rico since 1622, giving it the distinction of being the oldest executive mansion continually used in the Americas. Visiting the mansion is free and guided tours are available each weekday except holidays. The San Juan National Historic Site has rangers available for tours or you can go the self guided route. There are also talks throughout the day and a discovery center for the children. Don’t miss the tunnel tours on the weekends. They explore the hidden catacombs and their historic hidden defense for the fortifications. Close by is El Yunque, the Caribbean National Forest, the only tropical rain forest in the U.S. National Forest System. Every time you load up the family truckster and head out on the highway doesn’t have to be about fast food and the world’s weirdest roadside attractions. Sometimes it can be educational, too. How many UNESCO World Heritage Sites have you been to?